Bloggers had their share of fun mocking presentation slides and charts. The one above may well be in support of blogs and bloggers even though word of mouth now preferably gets carried out by way of swift entries on third party social platforms. Diagrams are indispensable time savers and help marketers find orientation and get a quick grasp of otherwise wordy, page-long explanations. Just think of how a simple emoji can express complex emotions. Bespoke graphic design may perhaps come across with greater authority than do emojis. I’d also like to think that a bespoke blog comes across with greater authority than placing a snapshot on instagram. Alas, neither could be further from the truth. We are witnessing a significant increase in the importance of the graphic design and one use of graphic design is little known. Don’t overlook simple graphic design as shortcut for solving often long winding strategic brand issues. Think of how emojis convey complex emotions. 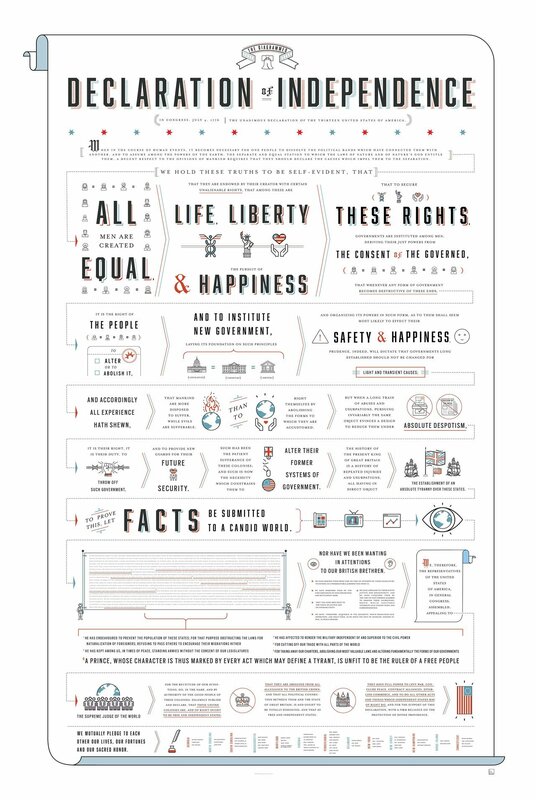 A diagram of the declaration of independence may help make graspable how effortless orientation can be served on a single page for anything as complex.